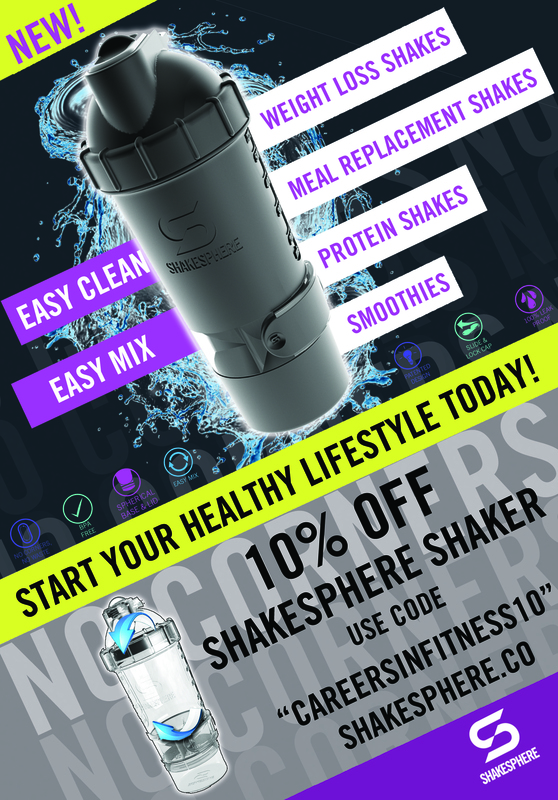 The ShakeSphere V2 is a high-quality shaker bottle which has a spherical base and a spherical lid meaning that none of its contents can get stuck in the corners because there are no corners- making it easy to clean. No mixing ball or mesh is required as the capsule shape does the mixing for you. 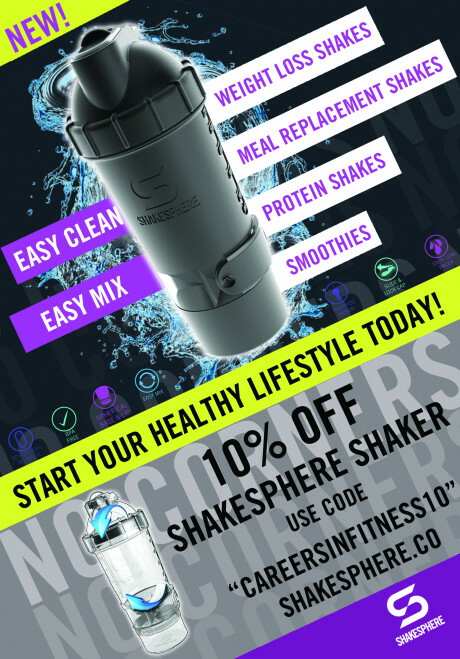 The bottle has a 700ml fill capacity, a 100% leak-proof, rubber and silicone blend sliding cap, a pill section with a sliding door and a typical storage compartment for pills/powder. It is made from BPA free plastic meaning that no harmful chemicals from the plastic are transferred to the contents. It is incredibly versatile and can be used everyday. It can be stored in the freezer, placed in a microwave to heat the contents and washed it in the dishwasher. 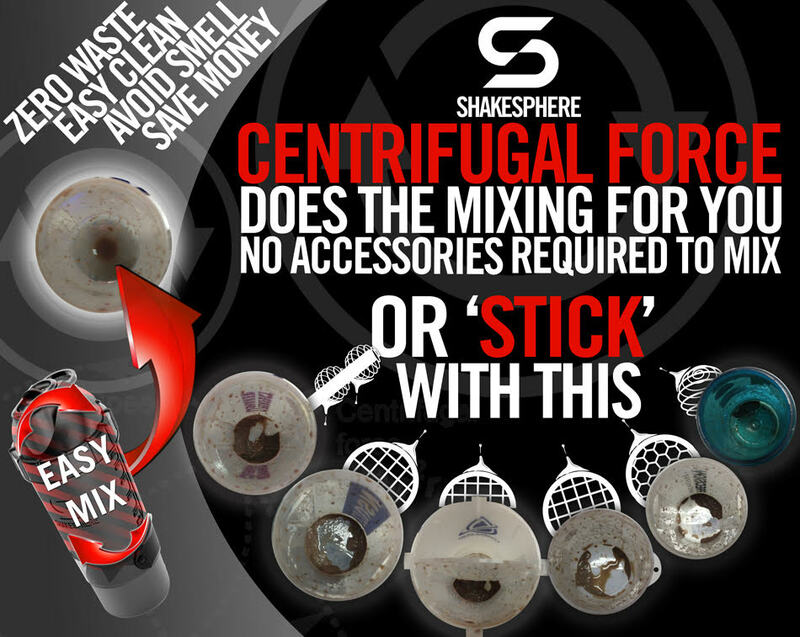 It is a compact and versatile design made unique to you by it’s availability in an array of colours. 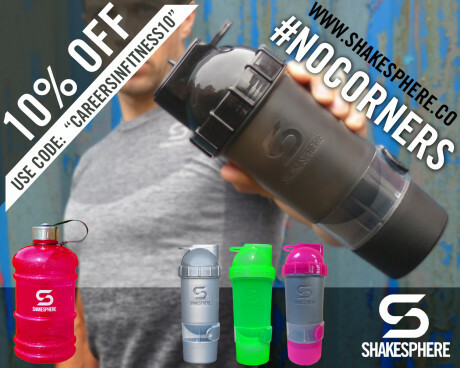 Get your exclusive 10% discount through Careers in Fitness Global – use coupon code “careersinfitness10” at the online checkout.